Mitch Trubisky passed for 453 yards and five touchdowns, including the game-winner with two seconds left in the game, to lead North Carolina to a 37-36 victory over Pittsburgh. 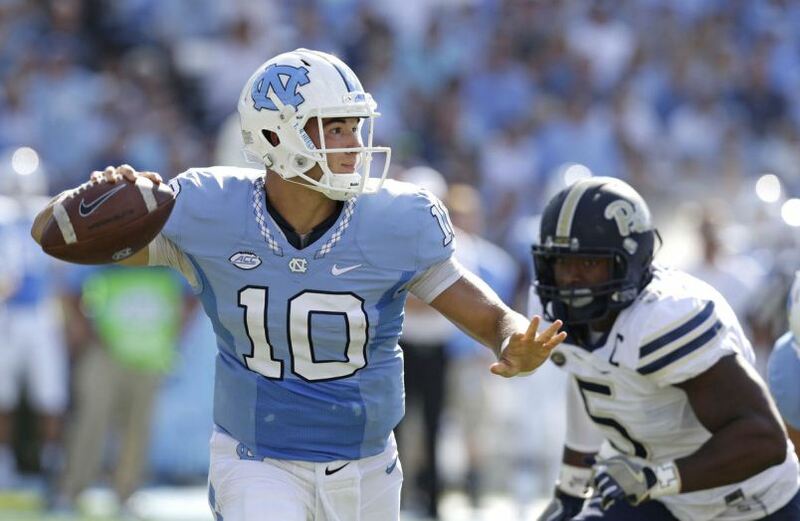 Trubisky completed 35-of-46 passes as the Tar Heels improved to 3-1, 1-0 in the ACC. Notes: Mitch Trubisky is the third North Carolina player, and the first offensive honoree, to earn Walter Camp National Player of the Week honors. The last Tar Heels honored were defensive end Kareem Martin (Nov. 17, 2013) and defensive back Kendric Burney (Nov. 15, 2009). T.J. Watt had six tackles, including 3.5 for losses and 2.5 quarterback sacks as 11th-ranked Wisconsin defeated 8th-ranked Michigan State, 30-6. Notes: T.J. Watt is the fourth Wisconsin player to earn Walter Camp National Player of the Week honors since 2004, and the first defensive honoree since former defensive back Scott Starks (Oct. 17, 2004).